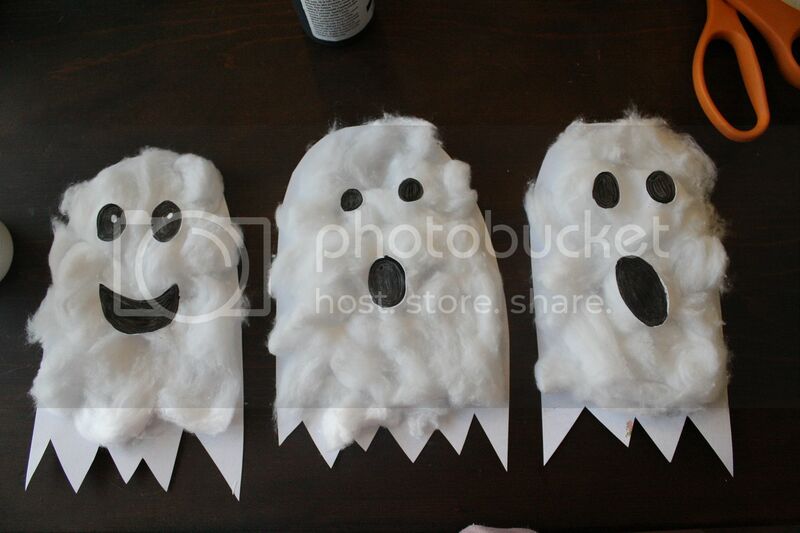 Free hand the shape of a ghost and cut. 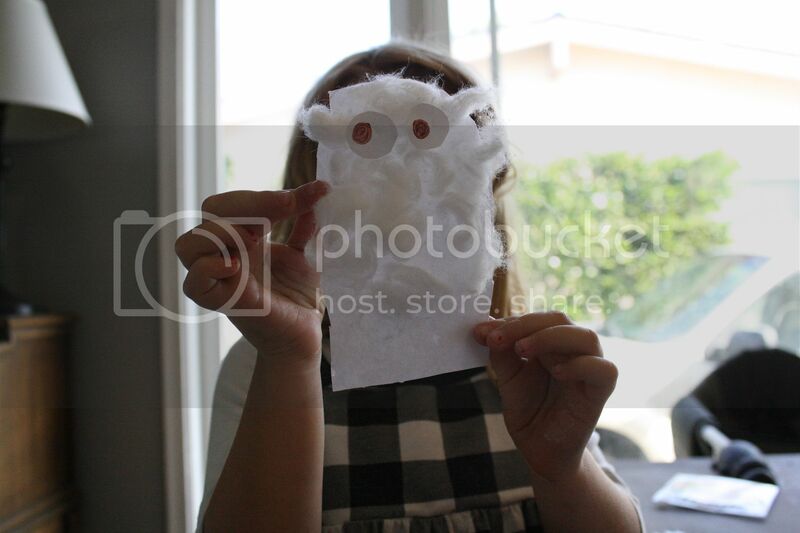 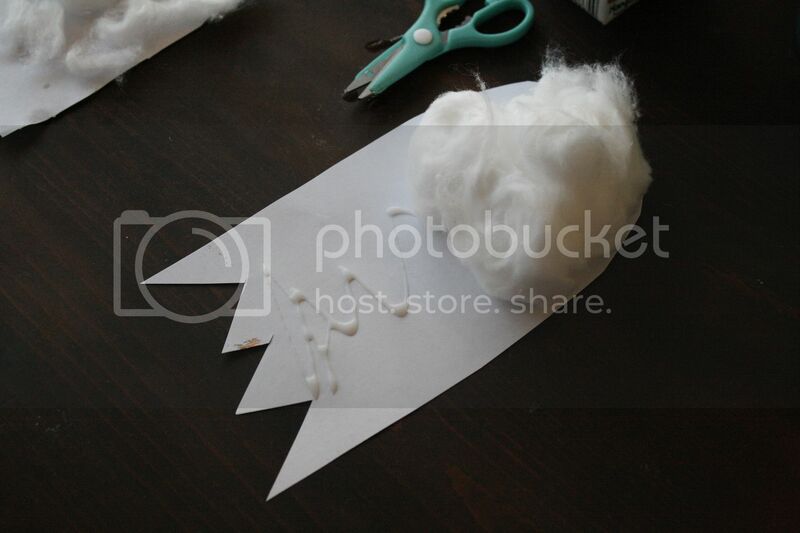 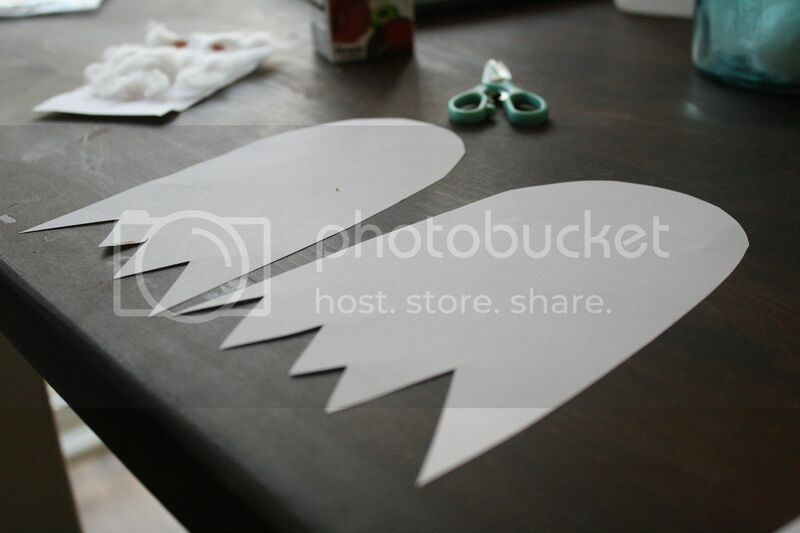 Cover with a thin line of glue and fill in the shape with stretched cotton balls. 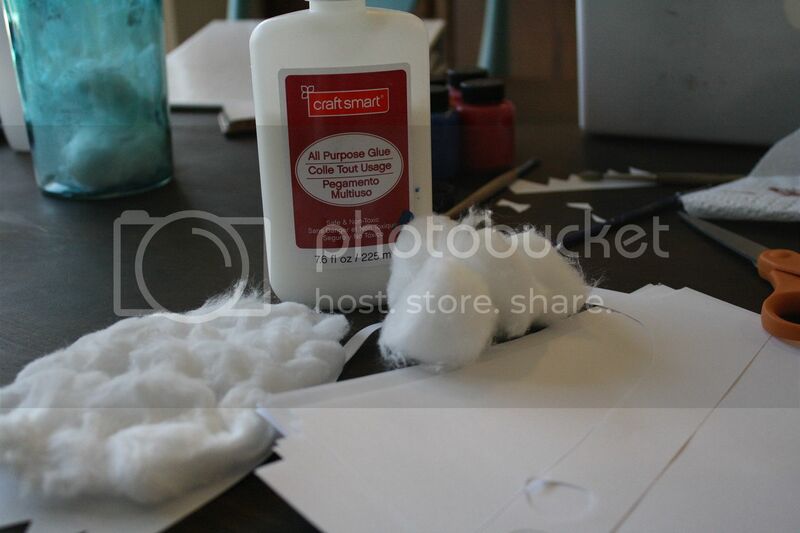 This is a good job for your littlest helpers. 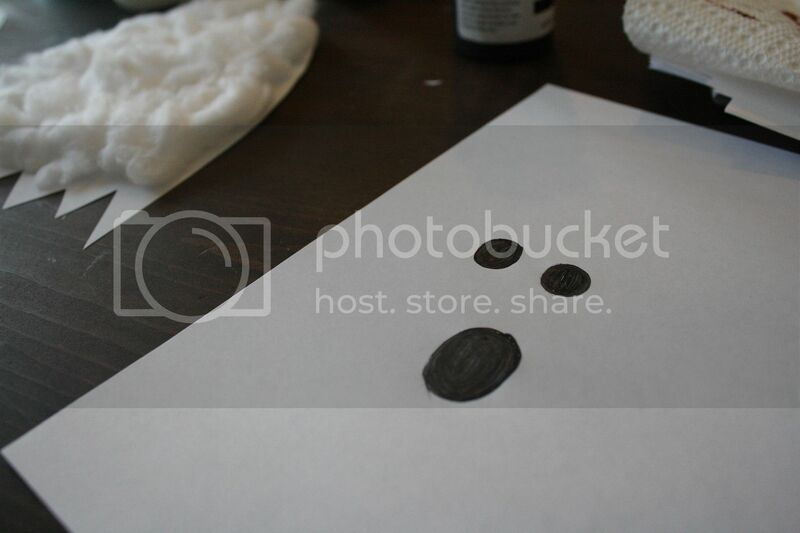 Using black paint and scrap paper, draw a face for your ghost. 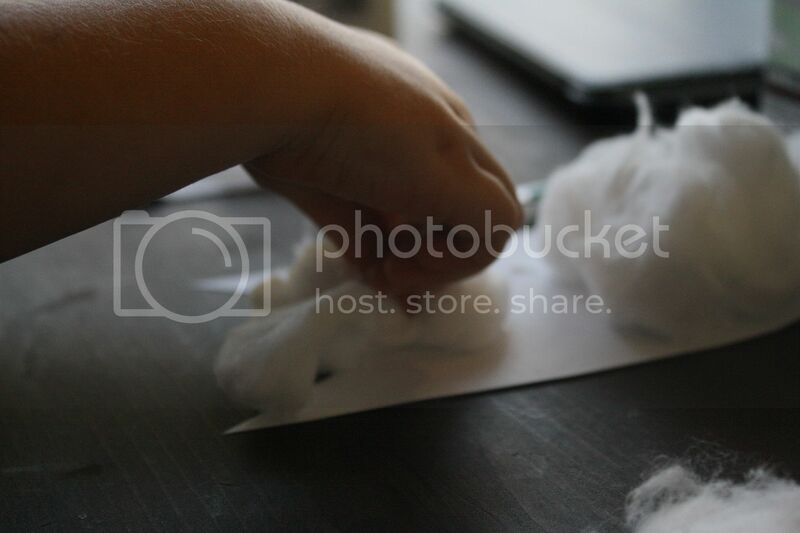 Glue it on the cotton ball ghost. 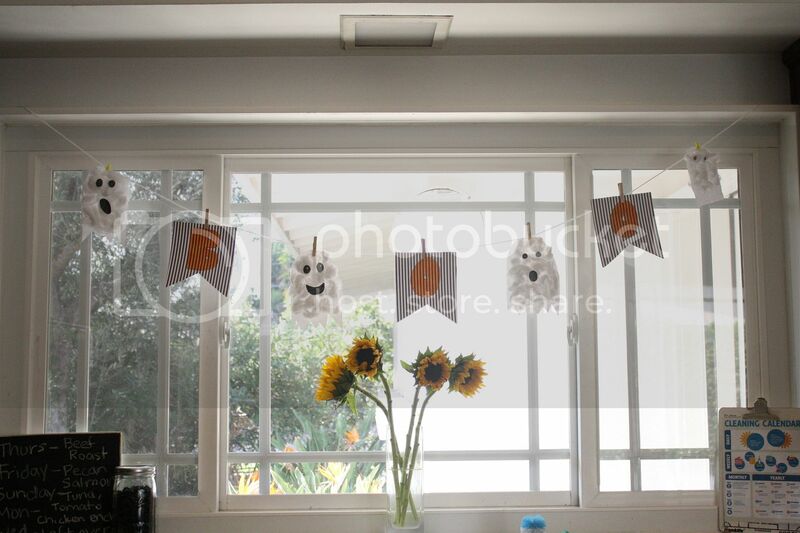 Cut some craft paper into triangles, squares or banner shape and paint the letters b-o-o in orange paint.